Paul Lewing hand-paints pool and hot tub tiles to give you the recreation and spa experience of your dreams. Beautiful mural pool floor tile and pool tile surrounds. 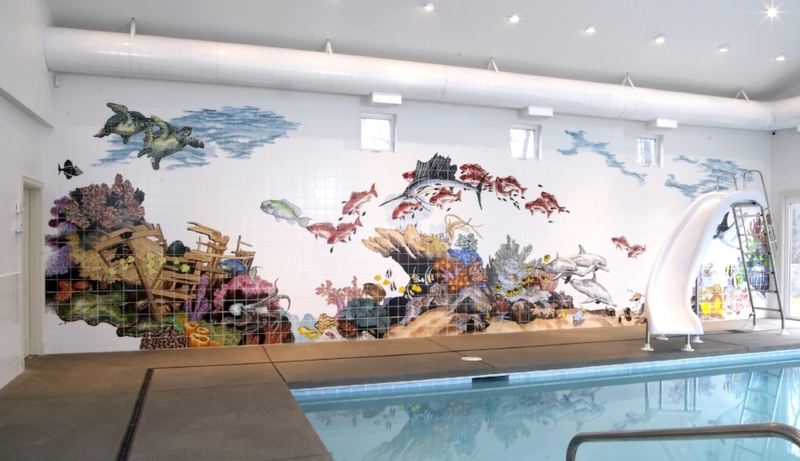 Custom tiles can transform your pool into a unique swimming experience. Swim with orcas, otters, pirates, or in a beautiful lagoon -- whatever you can dream up, Paul can paint. Tiles can be shipped anywhere your plan to put your pool. Contact Paul for more information and to get started!